Sorry about the alliteration, but we're finalizing the program today for Tuesday's reading with Tom Peek at Ann Arbor District Library on Tuesday October 29, 2013, 7:00 pm, "Hawaii: Deep Beauty and Volcanic Power." This program is themed around Hawaii and our romance with volcanos, but it is really about writing about place, culture(s), environmental and development issues. These issues are not limited to Hawaii and our speakers can discuss these issues as they apply here in Michigan and the Midwest. 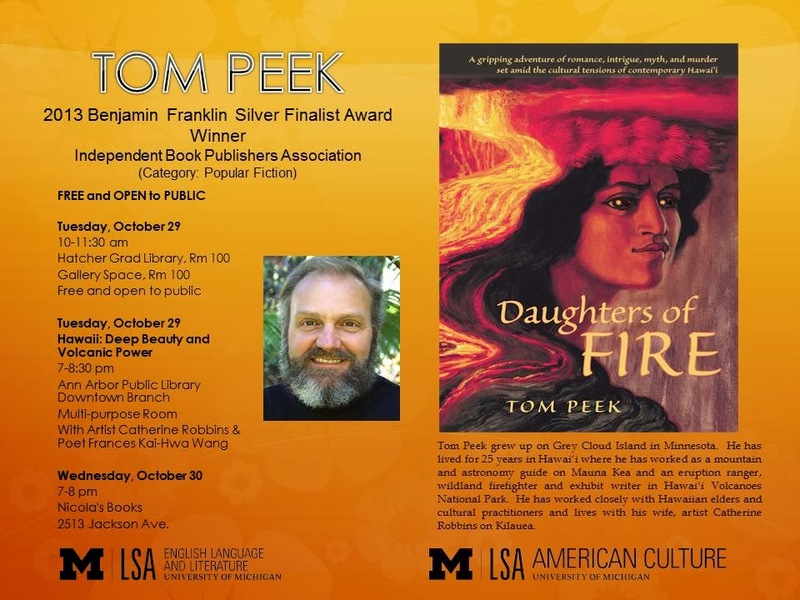 Tom Peek will be reading from his new novel, "Daughters of Fire," and I will be reading from my new chapbook, "Where the Lava Meets the Sea--Asian Pacific American Postcards from Hawaii." We will be joined by hula kumu June Yoshiko Kaililani Ryushin Tanoue of Halau i Ka Pono hula school in Chicago who will do a Pele (volcano) chant, and by artist Catherine Robbins who will be discussing her painting and photography. 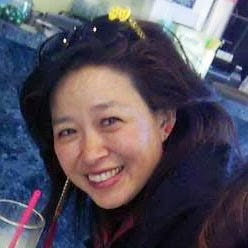 Susan Najita of the University of Michigan Department of English and Department of American Culture Program in Asian/Pacific Islander American Studies will be moderating. Both Tom's and Frances' books will be available for sale, thanks to our friends at Nicola's Books, and the program will be followed by a book signing. Or if you are on campus, at Hatcher Graduate Library, Tuesday, October 29, 10-11:30 am.